Step-5: Now, your device must be booted in the Download Mode by pressing and holding Volume Down and Power buttons together and wait for the construction Android robot to appear on the screen. To continue further in the download mode , press the Volume Up button . Note: In case you don’t see any Added message , try the USB Port located at the back side of the computer.Re-install the USB driver if Odin still fails to recognise the device . Note: If you don’t find any such files, ignore the last three steps b, c and d .
Step-9: Make sure for the Auto Reboot and F. Select the Reset Time checkboxes . Uncheck the Re-partition option and select only if a .pit file is in use. Step-10: In the Odin , hit the Start button . The installation process starts and will take some time to finish. Step-11: After a successful installation, the tablet reboots automatically. And then in the extreme left box at the very top of Odin , a PASS message with green background will appear. Disconnect your device from the computer by unplugging the USB . 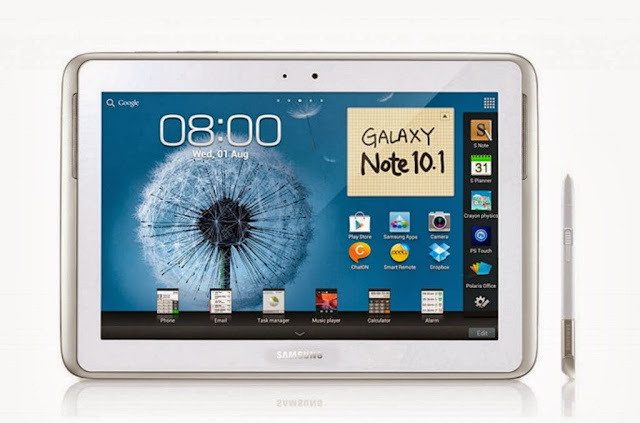 XXCMI2 Android 4.1.2 Jelly Bean official firmware is now installed and running on the Galaxy Note 10.1. Navigate to Settings and then About tablet for the verification of the new software version of the device.